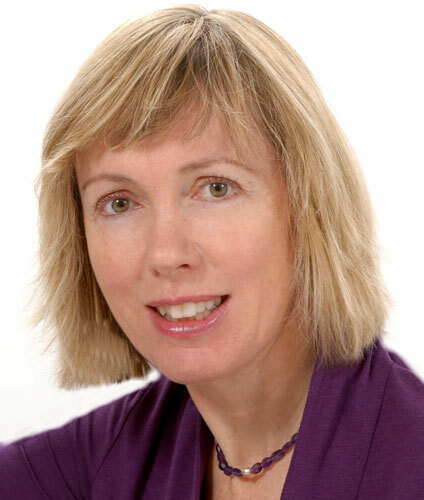 We’re delighted that Eliza Graham is here today–all the way from England–as our guest. She had a stunning debut with her first novel, Playing with the Moon. It was shortlisted for the World Book Day 2008 Book to talk about, and has sold more than 100,000 copies internationally. Her second book Restitution is a love-across-the-lines story set in a dark period of history that shows how acts of love and kindness can resist cruelty and hatred. The season has turned. Until the last few days I was almost able to persuade myself that we were still in the rump end of summer, a little chilly in the morning and evenings, but warm enough during the day. Today I noticed that the leaves on the three oaks across the road from our cottage are now turning gold quite rapidly. The season is quite definitely autumn, and the year is on the wane. Each year I try and tell myself that autumn and winter are good for writers: the dark evenings lend themselves to burrowing down and getting on with it. My work-in-progress is transforming itself, too. I wish I could say it was transforming itself into something more finished (I have to hand in 25,000 words by the end of the month). This isn’t the case, but some kind of corner has been turned. I’m trying to animate my characters, make them less cypher-like and more like real human beings. This has attendant risks. Once they start acting like people they’re apt to do unpredictable things, tossing aside my plans for them and stretching the narrative framework of the book. But they must be given the chance to change and grow or the book won’t live. In Restitution, my second novel, which has just come out, Alix, a young German aristocrat assaulted by invading Russian soldiers, is forced to metamorphose from an entry in the Almanach de Gotha, (the European nobility’s directory) into a bleeding, suffering, ordinary young woman. She’d start again, seventeen, without possessions, family ties, home or lover. Born in the ashes of downfall, baptized in the showers of the military hospital, fed by kindly GIs and sent out as a newborn into the unknown. It’s a turning point in the novel and I need one like it in the new book: a moment in which the protagonists realize that they can never, ever return to being the person they were at the start of their story. I think I’ve identified the chapter where this happens and this will be the part of the book that receives most attention this week. I can’t help feeling that we’re at a more general turning-point at the moment. There’s no ignoring the news: the world economy will affect everyone. My second novel has come out at a time when people seem to have even less spare cash to spend on ‘non-essentials’–though I’d argue that, for me, books are essentials. The pressure’s on to transform our writing into ever more compelling fiction; stories that people simply can’t resist, even if they have to turn down the heating and postpone their vacation plans. I wonder if a particular kind of novel will become more popular now? Humor, perhaps? Maybe we’re in for a P G Wodehouse revival: we’ll all want to be back in that pre-lapsarian garden in perpetual June, with nothing but divine mischief to worry us and no concerns about fuel bills. ← Who is Eve now? I really loved your first book, Eliza, and as soon as Amo ships it to me, I will be devouring the second. It’s a frightening world. But when has that not been the case? When I was a kid, we lived across the street from an air raid siren, which went off every Wednesday at noon. It terrified me and I prayed every night that we would not have nuclear war. Surely we’re not that fearful now, although the problems are different. See if you can solve the world’s problems in your book,okay? Yes–nothing seems as scary as those Cold War days, does it? I remember the nuns telling us the Russians could blow us up in minutes. We lived in London. Nothing against Wodehouse, but your writing is so excellent that we should never turn away, even if the subject matter is sometimes stark. And, I can proudly say, having read RESITUTION, that it’s a beautiful story and not at all a gloomfest. So happy to have you here at the Ball, Eliza! Oh, and that’s so true about the Cold War memories. I remember when the space shuttle Challenger exploded my first thought was that the Russians did it. Alix’s situation may be unique, but fear, resilience, and the need to grow and change are universal. Books can be inspirational as well as escapist; one need only look at Scarlett O’Hara and GONE WITH THE WIND to remember that challenges set against an historical backdrop can be fortifying page turners.PLAYING WITH THE MOON was beautifully written, and I am looking forward to RESTITUTION. And here’s to your WIP, which will surely be enhanced by the self-reflection we’re all forced to entertain during scary times such as these. Hi Jill and Kris. Yes, it will be interested to see what kind of books people turn to. Perhaps there’ll be a return of the Rags to Riches bestsellers. I remember some of the books which were hits in the seventies. Growing up in economically-struggling Britain back then, anything I read that had swimming pools in it was incredibly glam. If there was a private plane it was swoon-making. In Britain people are almost relishing frugal living. I think we feel nostalgic for austerity Britain during and after the war. People are boasting about how they haven’t switched on their heating yet and how we save money by not buying ready-meals (or whatever you call them in the US) anymore. What intrigued me the most, and what I found absorbing, was the seamless switching between the present and the nineteen forties in your first novel, PLAYING WITH THE MOON. I can’t wait to read RESTITUTION! Nostalgia was considered a legitimate condition for voluntary release from military service even through the 1860s. If a soldier became too overwhelmed by thoughts of home or the life he left behind, his abilities as a fighter could be compromised. We might call the use of the past, in conjunction with the present, memory; the rejection of the present for an imagined past, nostalgia. Do you really think nostalgia is imagined, or idealized? Do we pluck out only the best memories? I think there’s probably quite a lot of truth in that comment. My nostalgia for my student days, for instance, tends to overlook panics over essays and exams, and anxiety about the fact that I was not a)cool, b)as clever as some, and c)as beautiful as many. For me, it’s all golden October afternoons strolling in the park and reading interesting books in attractive libraries. Fiona, I like that quote about nostalgia! Eliza, great post. I love the part about a character reaching a point where they can’t turn back. I might use that to help me through my current revision of a WIP. These are scary times. What seems like a shame to me is that hysteria gets people to buy newspapers and magazines and stay glued to the news channels; so of course the media might be exploiting it a bit. The thing is, most of us could pare down a bit and not miss a thing. Especially in the USA, the compulsion to get more, more, more has created a lot of bloated lifestyles, where our possessions don’t reflect our interests, hobbies, needs, or priorities. But I do see a lot of people trying to return to their roots a little. It’s frightening, though, isn’t it, Katie: getting that character to that point of no return? Yes, the media interest is self-fulfilling to a degree–everyone panics and things get even worse. We’re starting to switch off the news in the evening. We could do without a lot of this stuff. And probably be the happier for it. Thank you very much for having me here, Debutantes! Good luck to everyone with their books. Wow, what an interesting conversation this has morphed into. A lot of food for thought here. 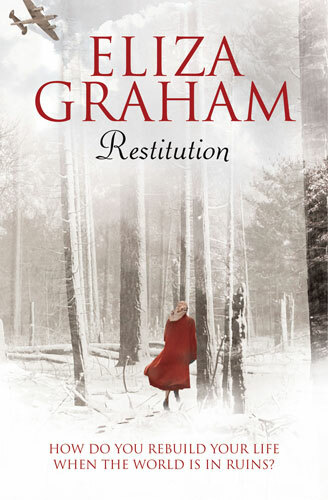 I’m hoping my copy of Restitution–great title!–will arrive this week. Can’t wait to read it. Just the name of your new novel, RESTITUTION, pulls me into those golden days of Fall, and I can’t help thinking that there isn’t anything better out there than the way things are right now. I suppose the old saying you never know what tomorrow brings is quite apt in these intensely crazy times and so I’m going to savor today just as I will your novel whenever it arrives on my doorstep, hopefully, tomorrow!